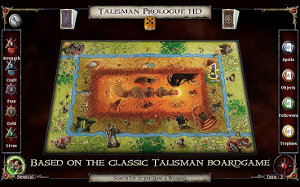 30 years young, the prologue to the seminal fantasy adventure board game now available! 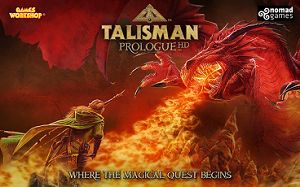 The legend begins with a single-player series of adventures designed to invite both veterans and newcomers to explore the land of Talisman. 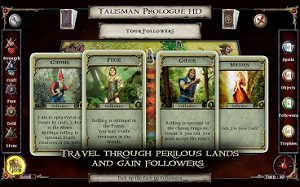 While multiplayer gameplay will be available in upcoming expansions, Talisman Prologue focuses on creating narrative depth through its single-player campaigns. The story unfolds as the player rolls dice to move around the outer, middle, and inner regions of the board. 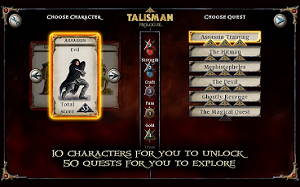 Each space will require the player to draw a card or resolve a special effect, leading your hero to encounter monsters, discover friendly followers, and gather treasure. 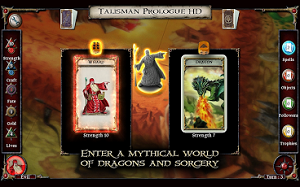 A fantastic quest in a world of magic and monsters! o All ARMv6 & ARMv7 Android Devices.